Few things compare to the ease and efficiency of using a gas grill. It's much simpler than using charcoal, for one thing, and it's also a cinch to light and preheat. 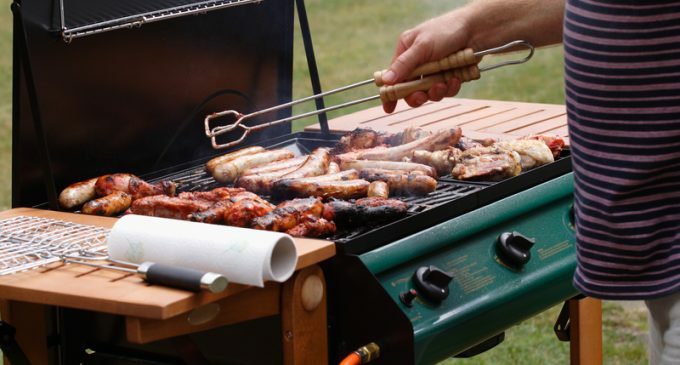 If you've never used a gas grill, however, you might not know where to start or the process might seem a bit confusing. Fortunately, it's a lot easier than it seems, plus we have several tips and trips that make using a gas grill even easier and more effective. For one, you need to start with a clean grill, and you should clean it at least once a year, but preferably twice for optimal performance. You'll also need to attach a fuel tank, and many people prefer propane, although you can use natural gas instead, it's not as potent as propane. Now you're ready to light the grill. To do this, open the grill lid, and then turn one burner to high or light, and press either the ignite or auto-light button, and then you can light the other burners. Now that you're up and running, we have a few other tips to help maximize your gas grilling experience. For our top tips for people new to gas grilling, please continue to Page (2) for the complete list. Pfffft gas! Can’t beat real coals for taste!